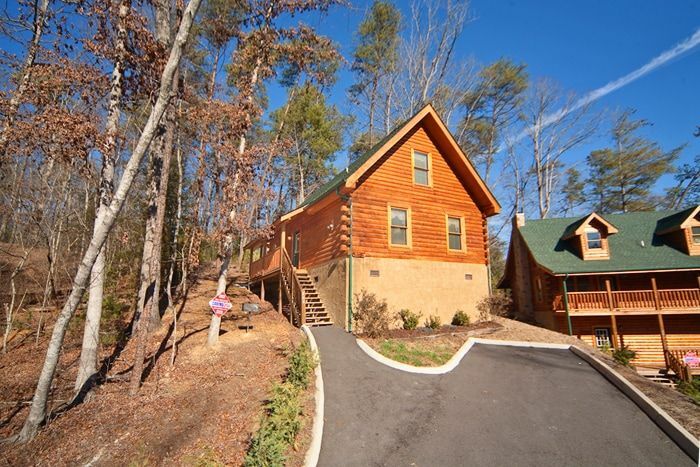 Your Pigeon Forge cabin in Mountain Park Resort waits for you to start your memorable, affordable cabin vacation fun! 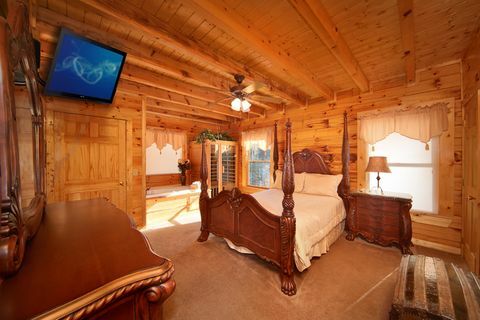 "Cherished Memories" places vacationers less than a mile off Pigeon Forge's action packed Parkway and it also provides exceptional amenities to make your cabin stay unforgettable! 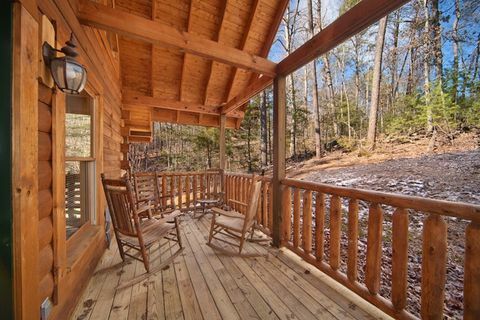 While there's plenty to do in the Smokies, "Cherished Memories," a romantic 1-bedroom Pigeon Forge cabin, provides guests with plenty of reasons to stay in the cabin. 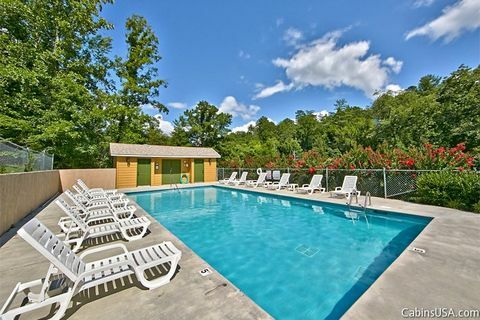 Enjoy summer days spent lounging around the resort pool working on your tan and reading a good book at the outdoor resort swimming pool. 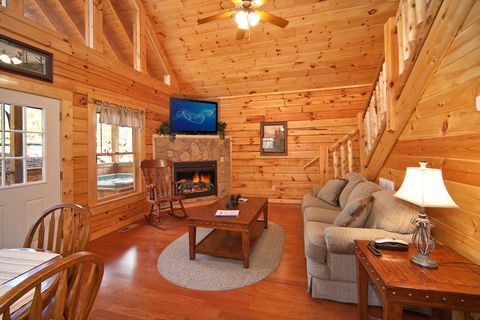 During the winter, gather around your cabin's electric fireplace and enjoy the added warmth and ambiance it provides. 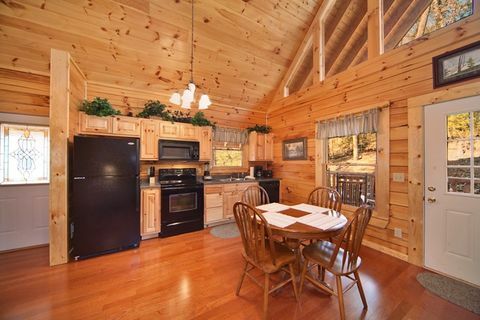 Share private meals prepared in your Pigeon Forge cabin's fully equipped kitchen or hot off the barbecue grill. 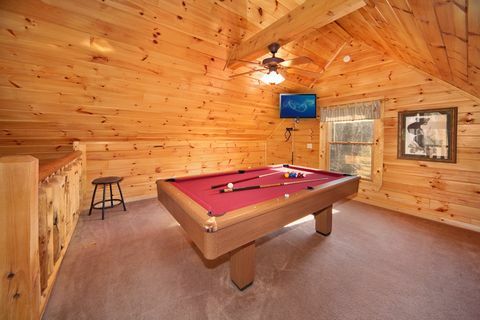 Upstairs, the game room's pool table and television provide entertainment options when you choose to stay in the cabin. 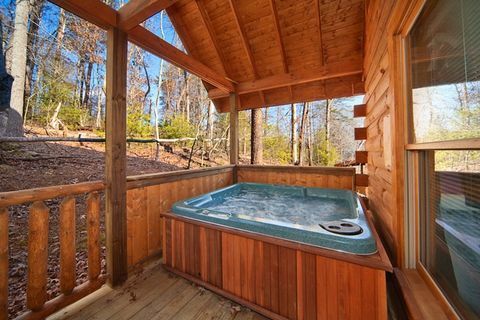 After a full day's adventure in either Downtown Pigeon Forge or nearby Gatlinburg, return for a relaxing evening soaking in the hot tub on the covered back porch. 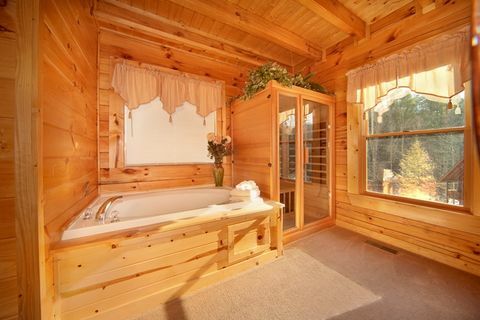 Cherish the romance afforded by your cabin's master suite complete with an elegant, four-post, queen-size bed, in-room jacuzzi, and luxurious in-room sauna. 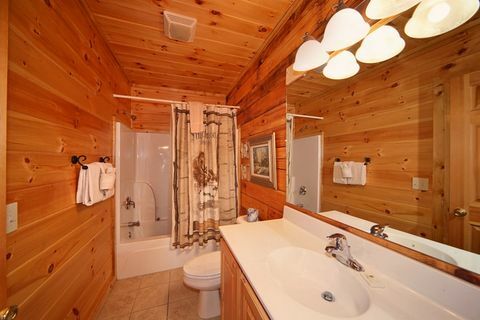 All in all, "Cherished Memories' " provides perfect location and romantic amenities for the perfect getaway for romantics to escape to in the scenic Tennessee Smoky Mountains. 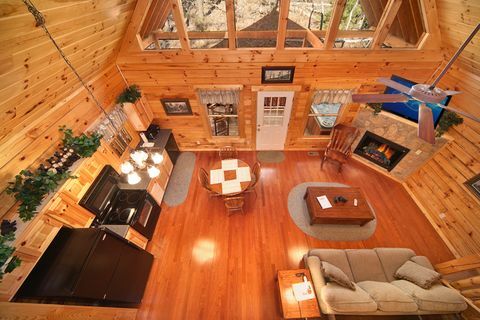 Book your Pigeon Forge cabin in Mountain Park Resort in Pigeon Forge online with Cabins USA Gatlinburg for immediate Online Savings and prepare to make cherished memories of your own!